Mamava co-founders on The TODAY Show talking with Dylan Dreyer about women-driven innovation, inclusive design, and changing culture to support breastfeeding moms at work and in the world. Check it out here! 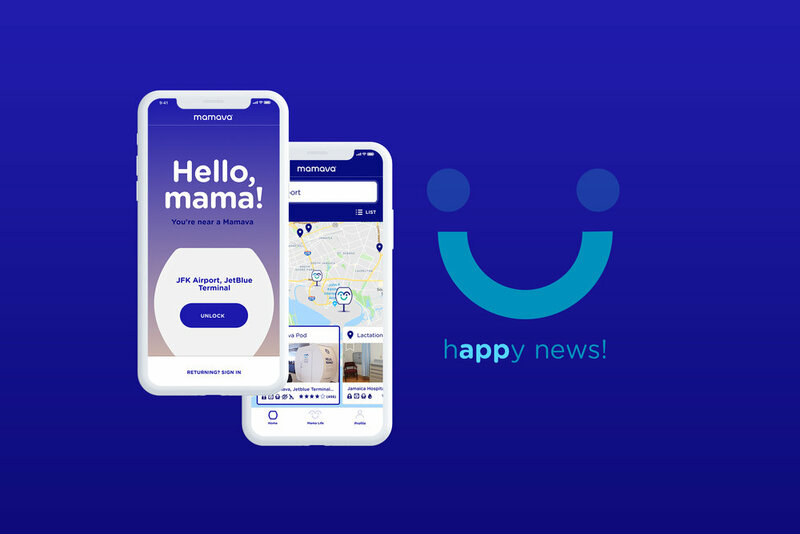 Mamava is super “app-y” to share our great news! We’ve launched a whole new Mamava app that makes pumping and breastfeeding on-the-go easier. Find the breast places to pump or nurse. With more than 1 million in-Mamava sessions, we heard from SO many mamas who told us that our awesome (and free!) app has helped find them the breast places to pump or nurse. But, every once in a while, accessing a Mamava pod with the app could be a bit, well, wonky. So our App Angel, Rebecca, recruited a herd of unicorns to fix the glitchy bits—and then went above and beyond to overhaul the entire experience. Now it’s all sunshine and rainbows. Seriously, though: our new app makes finding and accessing Mamava pods, and thousands of other pumping spaces, fast and simple. New features help moms connect with and support each other, and normalize breastfeeding. MORE vetted pumping and nursing spaces (2,000+ and growing every day)! NEVER a bathroom. Enhanced experience makes it easy for mamas to share, rate, review—and add photos of—their favorite places to pump or breastfeed. Photos of pumping and nursing places, plus detailed information about what amenities to expect—outlets, a door that locks, space for a stroller, etc. Words of support so you can leave a digital note for the next mama in the pod. MORE content: tips and inspiration, fun videos, and more! Download, rate, and review the app in the app store. Share the app with mamas (and mamas-to-be!) you know and love. The more love, the bigger the impact. Just in time for World Breastfeeding Week and National Breastfeeding Awareness Month, we’re thrilled to announce that we’ve partnered with La Leche League International to develop educational resources for breastfeeding mamas. Dena Blizzard in Grand Central Station. Mamava is a little company with a big mission: to revolutionize breastfeeding by making it more accessible for all mamas. And when you’re a small startup, changing the world takes a little help from your (breast!) friends. When Zappos, a retailer that strives to deliver happiness in innovative ways, approached Mamava about helping us provide dignified spaces for breastfeeding and pumping mamas, we latched on happily. And a perfect partnership was born. Entertain, enlighten, and inspire your friends, family, and all of the other people in your social networks. Sign up for our newsletter to receive breastfeeding legislation updates, and invitations to take actions that will help normalize breastfeeding in our culture. Help others understand why having a private place to pump is so important for breastfeeding mamas, ask why so many public spaces aren’t equipped to support breastfeeding mamas, and challenge people to do something about it. Our resources can help inform your conversations. Being a part of an online community of moms who were struggling with going back to work was an important part of my breastfeeding journey. Together we figured out how to work with our breasts attached to the pump. We posted photos of our growing babies. We shared recommendations for increasing our milk supply and got advice for clogged ducts and mastitis. We even cried over spilt milk together. Just as my breastfeeding journey ended, I found myself working at Mamava and started sharing information about Mamava with my working mama breastfeeding community so that new moms would have the resources that I did not— support while traveling and for going back to work. I wanted to get as many mamas out of the bathrooms as I could. One of my new mama friends was Ashley Summers, a legislative aide to Supervisor Katy Tang of San Francisco. When the city of San Francisco passed legislation requiring workplace lactation accommodations, Ashley reached out to see if Mamava's freestanding lactation pod would be a good fit for the city’s historic buildings. Ashley and I worked together for nine months to build our baby-friendly feeding strategy. Then we celebrated the first Mamava installation at City Hall (with seven more locations to come). As we cut the ribbon at the very first Mamava in the City of San Francisco and listened to Supervisor Katy Tang introduce the breastfeeding initiative, I was proud to stand side-by-side with Ashley, a new friend and fellow pumping-warrior committed to moving her community forward. I’m proud of how Mamava is normalizing breastfeeding and changing our culture for the better. I’m proud that Mamava is a category creator, making women’s lives better through innovative design. I’m proud to be connected with women who support each other, when all too often there is so little support out there. And lastly, I was proud to have a growing baby girl inside my four-month pregnant belly. It truly is the poetry of progress. 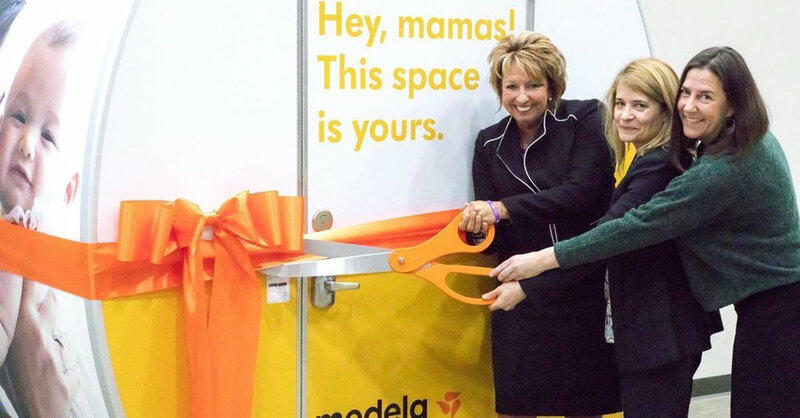 Finally, there’s a place for nursing moms to pump on the go. Breastfeeding moms at conferences and trade shows have a tough time finding clean and private accommodations to plug in and pump milk. As if carrying a heavy bag with a pump and supplies isn’t hard enough, often the only option for a private space to pump is the restroom—which is no place to be making food for a baby. Which is why we're so pumped about Dose's video from CES where Nikkie Kent, Mamava's EVP, explains Mamava’s mission: to ensure that all mamas have access to clean and secure spaces to pump or breastfeed at work and on the go. We believe that breastfeeding is a right, not a privilege for the few. So if you're a mom on the go, download our free mobile app to help you find the best places to pump wherever you go, because mamas go everywhere.